Called by different names in different cultures but relished by all cultures, I’m talking about the humble sweet potato/kananaga/genasu/ratalu in English, Konkani, Kannada and Marathi respectively. Unlike the more popular but cumbersome puran poli, this poli is delicious AND can be easily prepared at an hour’s notice. Readers of this blog have loved the recipe for sweet potato chips and I hope you will enjoy this poli with equal relish. 1. Wash, peel and cut the sweet potatoes into cubes / bite size pieces (image-2) and cook it in the cooker for about 20 minutes / until soft. If you cook the cut pieces in a vessel that is then placed in the cooker, you do not need water into the vessel and need to only use as much water as the pressure cooker itself needs for the cooking process. On cooling, grate the cooked sweet potato pieces and keep it aside. 2. Place a skillet on medium flame with 2 teaspoons of pure ghee. When hot, add jaggery and grated coconut and grated sweet potato from step-1 to it and mix well into a chapati dough-like consistency. Switch off the flame and allow to cool. 3. In a spatula, dry roast poppy seeds, powder it on cooling and add it to the sweet potato stuffing. 4. Shape it into round balls and keep it aside. 5. 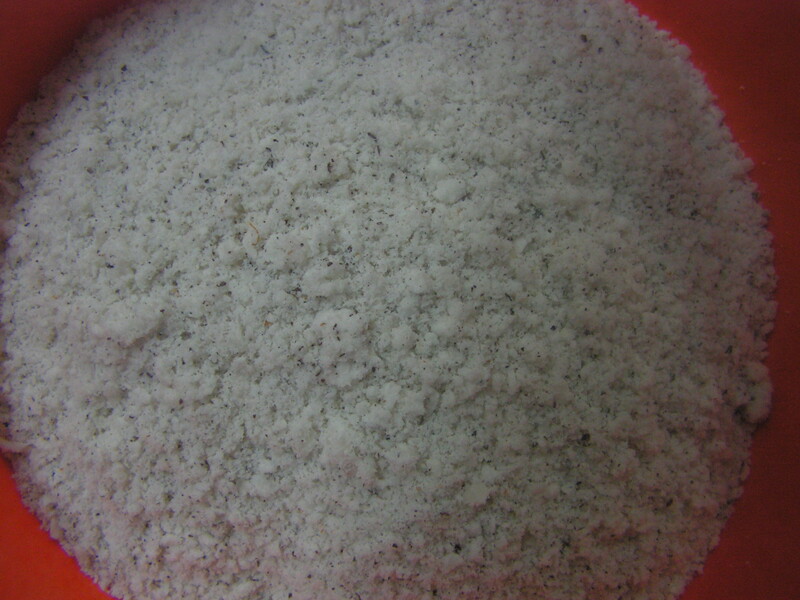 Sieve atta with salt and add water in steps to prepare a soft dough. Add drops of cooking oil while kneading and keep aside for around 20 minutes. Pinch out the required quantity of the atta and knead it into round balls. 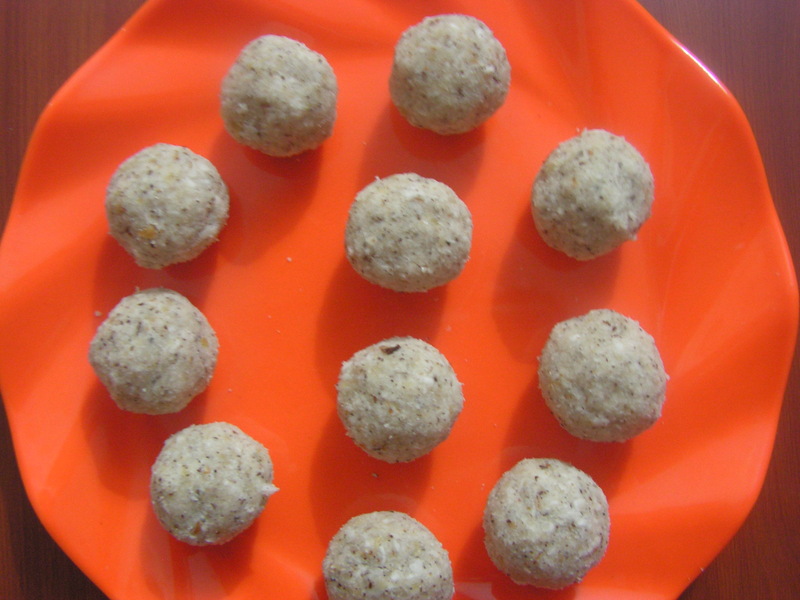 Flatten and roll them inro 3″ circles and place the stuffing balls from step-3 into it. Fold the edges in such a way that it is closed well. 6. Close the edges and roll it on a thick plastic sheet and as shown in the image below. 7. 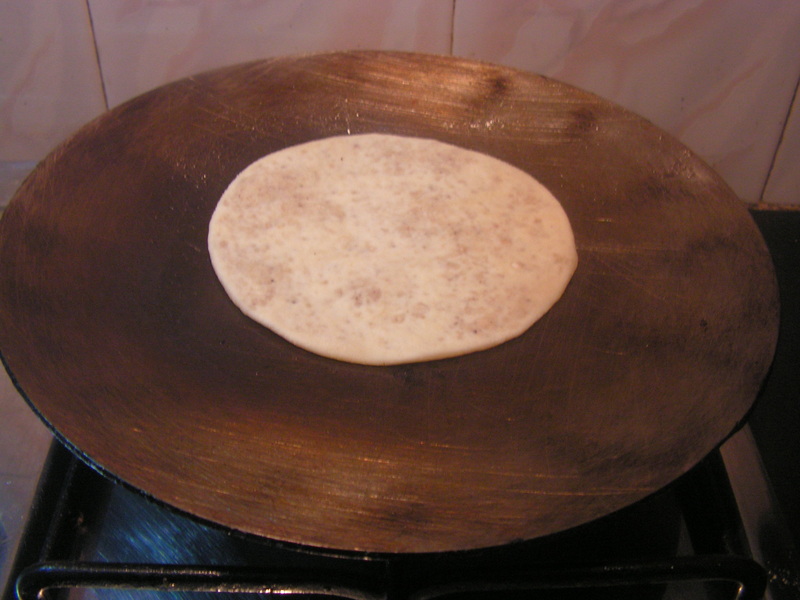 Place a non-stick tawa on medium flame, spurt a little ghee on it and place the rolled roti on it. 8. Flip and roast it on the other side splashing a little pure ghee. Repeat the same process for the remaining polis. Enjoy it with pure ghee or plain. It will remain fresh for about 3-4 days at room temperature else, can preserved in the refrigerator. 1. Two varieties of sweet potato are available. One of them when cooked is a little hard and the other one turns very smooth and also will be light cream and pink in colour. We can use any but it needs to be grated or crushed to make a smooth stuffing. 2. 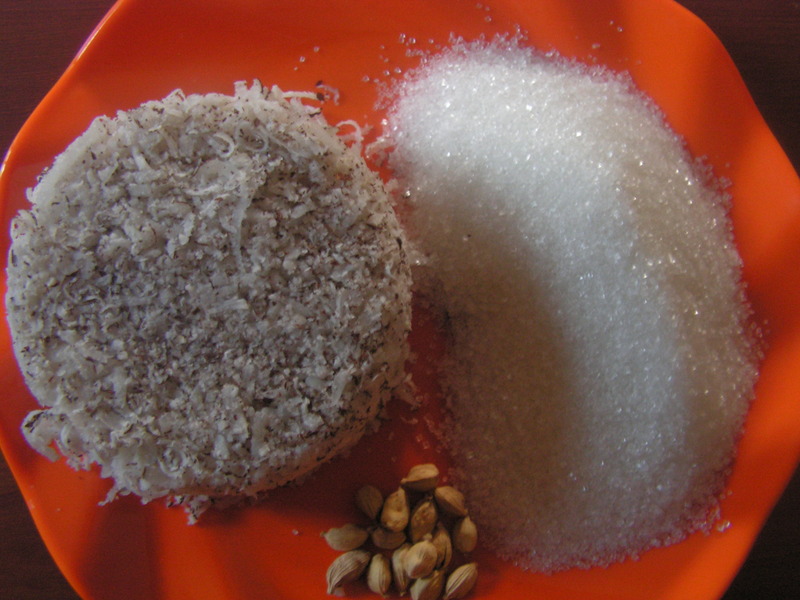 Quantity of jaggery depends upon the sweetness of the root. This entry was posted in Uncategorized and tagged Konkani dishes, One hour, Poli. I can imagine people wondering since when has moong dal been used to make poli. But really this poli also would be as tasty as the original Puran Poli made of Bengalgram/chana dal. I just prepared one to see how they turn out – small cup of dal and sugar (instead of jaggery) and the remaining usual ingredients and was I surprised ! Now I am going to have polis made of each of the 3 dals – toor dal, moong dal and Bengalgram/chana dal puran poli on this blog so you can try them all out and pick your favorites. There are also other poli here – Sanjeera, Soyi poli, Dates poli, Shenga poli, Ellu Holige. 1. Wash and soak Moong dal in water for about 20 minutes and cook it in cooker as usual for another 20 minutes till done. Make sure you dont add too much water. Just add water above the dal level. (If dal is not cooked for the first time sprinkle (not add) water and cook it again in cooker. Cooked dal is as shown in image below. 2. Powder sugar in the mixer and keep it aside. 3. Transfer cooked dal to a skillet and add sugar powder from Step 2 (above). Cook till sugar melts and combines with dal to make for a soft mix. 4. Place a spatula with poppy seeds in it on low flame and roast it till they splutters. 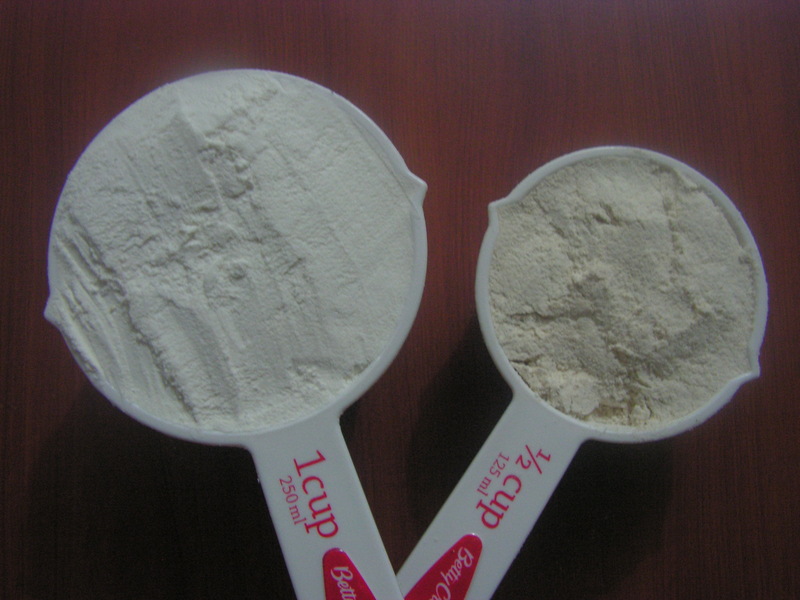 On cooling powder it in mixer. 5. When sugar is being mixed with dal, add poppy seeds powder to it. Mix it well and grind it in the mixer without adding water. 6. Make round balls and keep it aside. 7. Sieve wheat atta, salt and turmeric powder in a siever and add water slowly to make a soft dough. Later on, add raw cooking oil in steps to make it elastic and keep it aside for about an hour pouring oil on it. Pinch out a small quantity of it and flatten with your hands around 3-4″ in diameter and place the stuffing balls from step-5 into it and fold the edges as shown in the image below. 8. Roll the stuffed poli on a thick plastic sheet, dusting in wheat atta if needed to required thickness. Repeat the same rolling process for the remaining poli. 9. Place a skillet on medium flame. When hot, place rolled poli from step 8 on it. 10. When roasted at the bottom, flip over. The picture below shows the roasted side. With the above proportions of ingredients, you should have about 20 polis to enjoy (with hot ghee/milk ). Store it in air tight containers in refrigerator. If storing at room temperature then they should be good for 2-3 days. 1. For cooking Moong dal add just right quantity of water. In the sense the left over water after soaking is sufficient to cook just right as shown in the image -3. Adding more water will make dal mushy as a result the stuffing will turn watery after adding sugar and will not be able to stuff at all. 2. Powder sugar and add it to mix with dal for the reason that it will mix faster. 3. Push it in the refrigerator for best storage and can be served as a party dish too. This entry was posted in Uncategorized and tagged Festival food, Festivals, Konkani dishes, One hour, Poli, Sweets. Toor/tur/tuvar dal is a quintessential commodity in all Indian kitchens. It is considered staple and comfort food in all Indian cuisines and communities. We use it in the preparation of dal, rasam, dal-palak,sambar and bisibele bhath and so many other dishes. We also prepare sweet poli with this dal in combination with sugar which really tastes great and will be smooth and very aromatic. I have already put up a variety of polis on this blog like the Puran poli, Ellu holige, Sanjeera, Soyi poli / Kayi holige, Shenga holige. Today I would like to put up Toor dal holige to add to the long list of the same. It is easy to prepare too. 1. Soak toor-dal for about 1/2 hour and cook it in the cooker, adding sufficient quantity of water depending upon the quality of dal, till soft and as shown in the image below. 2. Transfer cooked dal to a skillet and add required quantity of sugar to it. Cook it till the sugar combines with the cooked dal to form an edible mixture. 3. Place a spatula on low flame and dry roast poppy seeds in it till done. On cooling, powder it coarsely. Powder nutmeg and cardamom too. 4. Cook dal and sugar till it mixes to turn into an edible mixture. Grind it either in the mixer or grinder however convenient to a smooth consistency without adding water. Add nutmeg powder, cardamom powder and poppy seeds powder from step-3 to it. Make round balls of required size and keep it aside. 5. Sieve wheat atta, turmeric powder and salt in the siever and as is shown in the image below. 6. Transfer the above mixture to a bowl and add required quantity of water to it and make a soft pliable dough. Add 5-6 teaspoons of cooking oil to make the dough elastic too and keep it aside for a while. 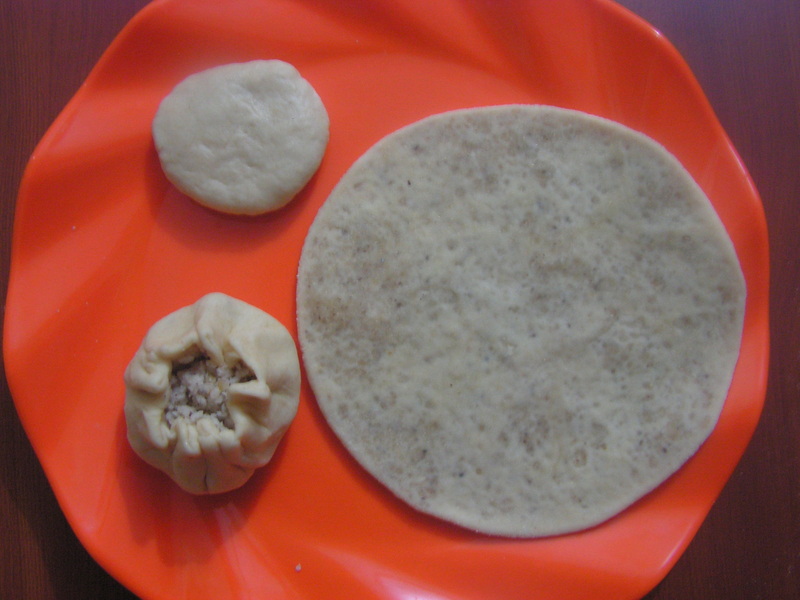 Pinch out required quantity of the dough and roll it into 2″ diameter disc and place the stuffing from step-4 into it and fold the edges in such a way that it does not open up. 7. Dust the stuffed ball in atta slightly and roll it on a thick plastic sheet to required consistency. 8. 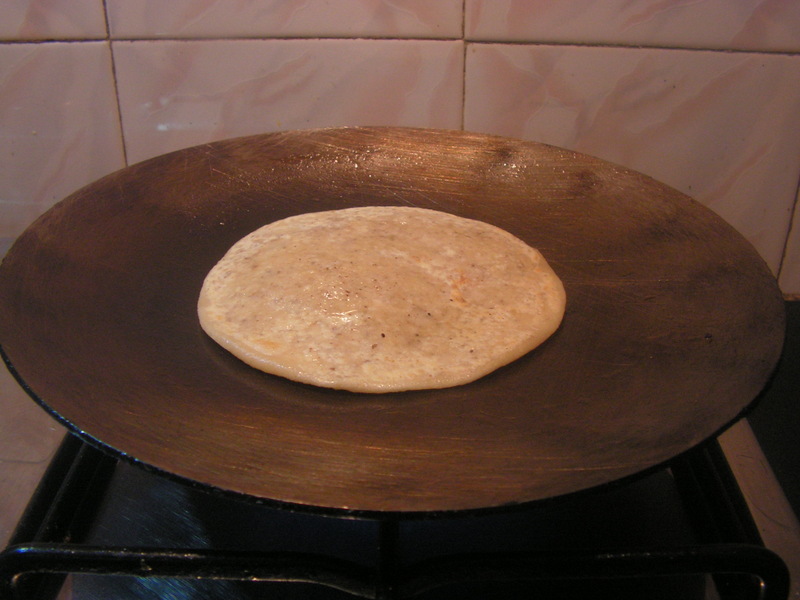 Place a dosa skillet on low/medium flame and on heating place rolled poli on it. Dry roast the same. 10. Serve hot with pure ghee or plain. Repeat the same process for the remaining polis too. A closer view of Toordal poli. Enjoy – yummmmmmmmm !!! This entry was posted in Uncategorized and tagged Konkani dishes, One hour, Parathas & Rotis, Poli, Sweets. Puran poli is the sweet flat bread which is an all time favorite of one and all – a person who say hates sweets loves “Puran poli”. 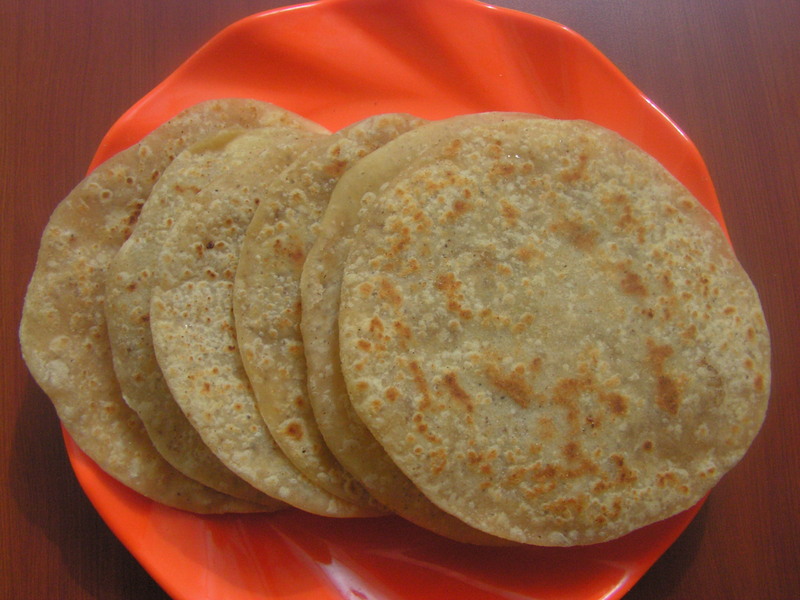 Puran poli as it is called by Maharashtrians is Ubbatti in Konkani and Obbattu and Holige in kannada. I have already put up a variety of sweet poli on this blog namely Soyi poli, Ellu holige, Dates poli, and have received good responses by fellow bloggers. This recipe was long over due and 4/04/2011 being “Gudi padva“, it is prepared in many Indian house holds and also at my home. I thought it is as well an opportunity to put up the same today. I wish all the viewers of this blog a very happy “Ugadi“. Also congratulations and celebrations to all on India winning the World Cup! Here is the favorite “puran poli”. Do give a try please. 1. Wash and drain water from Bengalgram dal and add fresh 2 cups of water and cook it in the cooker for about 25 minutes till soft. 3. Jaggery melts and it turns into semi liquid. Cook till all the watery part evaporates and combine with dal till it solidifies. On cooling transfer it to a bowl. 4. On cooling grind it either in the grinder or in a hand grinder to a smooth paste (without adding water). Add nutmeg powder and cardamom powder to it and mix well with your hands. 5. Pinch out required quantity of the mixture and make round shaped balls . 6. Sieve maida, wheat atta, salt, turmeric powder in atta siever and keep it aside. 7. Transfer sieved flour in a bowl and add little water to make it a soft dough. 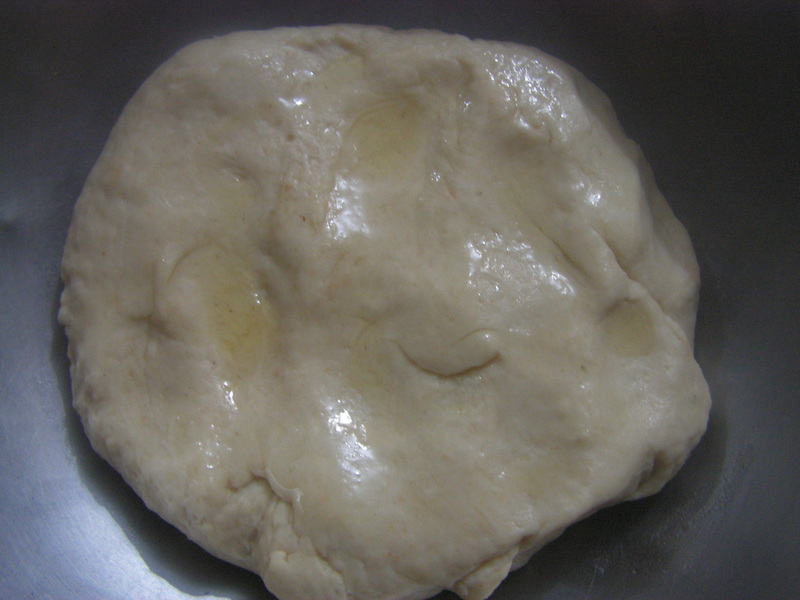 Add oil to it and knead it to a soft elastic dough. Add remaining oil on the top of it and keep it aside for an hour. 9. Dust the balls very slightly in maida and roll it mildly with chapati roller to the required thickness. 10. Place a Chapati tawa on medium flame. When hot, place the rolled poli from step-9 on it dry roast it till done. 11. Flip and roast on the other side as well till done. 12. Repeat the same process for the remaining poli. On cooling transfer it to a bowl. A closer look at the puran poli. 13. Enjoy hot with pure ghee and powder sugar. 14. People in Northern karnataka enjoy it with milk and sugar. 1. Always use quality Bengalgram dal. The reason being that most of the time it is mixed and some dal is cooked and some over cooked making the stuffing either watery or too hard and will be difficult to roll after stuffing. 2. Use fresh jaggery since if it is tangy then poli will be a disaster. 3. 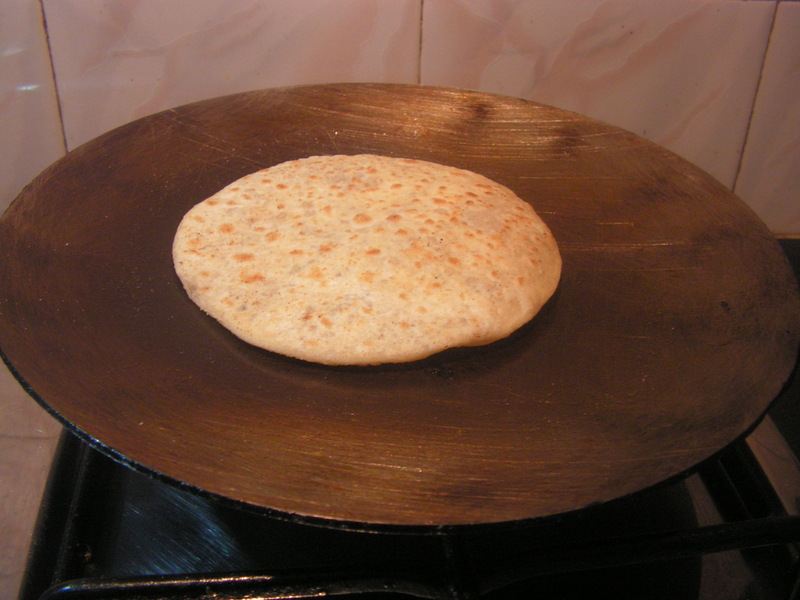 One can use only wheat atta for the outer dough . The smoother and the lesser the quantity of the outer dough used to cover up the stuffing , the smoother the poli will be and the edges will not be rubbery but smooth. When we lift the poli from the box itself it turns brittle which means it is right in its texture!!!! 4. It is prepared as one of the dishes for weddings too. 5. Some people enjoy with curds as well, I believe!!!! This entry was posted in Uncategorized and tagged 90 minutes, Festival food, Festivals, Poli, Sweets. Dates in English are what we call “Kharjura” and “Khajhuru” in Kannada and Konkani respectively. Dates needs no introduction and we use this dry fruit generously in the preparation of cakes, desserts, biscuits etc., We also prepare a unique sweet paratha using dates. These parathas taste great and are a little different from the other sweet parathas like “Soyi poli“, “Sanjeera“, and “Ellu holige” that I have previously uploaded recipes for. It’s time to put up the recipe for Dates Parathas now – I hope you will give it a try and like it too. 1. Grate jaggery, remove the small seeds from dates and sprinkle a little milk on it and keep it aside. Peel cardamom as well. 3. Place a spatula, and dry roast the poppy seeds in it on a low flame, till you get a pleasant aroma. 4. On cooling, powder the roasted poppy seeds in a dry grinder along with cardamom. Add this powder to the dates-jaggery mix from step-2. Mix well and shape into small round balls. 5. Sieve atta, and make a pliable dough by adding sufficient quantity of water, cooking oil and salt to it. Make small balls and roll it into small discs. Place the round stuffing from step-4 into it. Close the edges and roll again on thick plastic sheets as shown below. 6. Place a non-stick tawa on medium flame with 1 teaspoon of ghee on it. When heated place rolled paratha from step-5 on it. 7. When done reverse the same and roast with a little pure ghee on it. 8. Repeat the same process for the remaining rolled parathas as well. Serve as a snack with tea. Enjoy! This entry was posted in Uncategorized and tagged Parathas and Rotis, Party dish, Poli, Sweets.